A service level agreement (SLA) is a commercial document that helps enterprises better understand the support, management, and maintenance they’ll receive from a technology provider. They tend to be somewhat high level and may not provide much detail about what you expect. When it comes to software-defined wide area networking (SD-WAN) services, an internal SLA may help define your needs. An internal SLA is a documentation of a set of parameters specific to a line of business. It may include areas like user requirements or application flow. While an SLA with a service provider may include measures for penalties or fees related to an unfulfilled term of the contract. The internal SLA comes with more of a natural consequences type of penalty, such as lost revenue. The realm of wide area network (WAN) now includes newer technology like SD-WAN services, so the enterprise needs to consider corresponding business requirements. 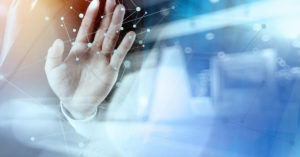 While SD-WAN is generally discussed in terms of its ability to introduce cost savings and help meet the demand for access to cloud solutions, it can also terminate all types of connectivity. It can offer alternatives to multi-protocol label switching (MPLS) and virtual private local area network services. In effect, an internal SLA assists the enterprise in better understanding what they require in terms of SD-WAN services, spelled out in a standard SLA. Comparing a traditional SLA for VPN versus SD-WAN services: A virtual private network (VPN) SLA is generally a high-level document, providing averages for a performance indicator across a month. It’s important to note that these averages may appear to demonstrate a consistent performance level, but you’re not seeing the instances of high latency that occur. Depending on your enterprise, this could spell revenue loss. The measurements may also include network uptime and packet loss provided as averages that give some idea of how the WAN performs. Considering that the SLA is simply a document expressing the desired performance, how can you create an SLA that impacts your service level? SD-WAN gives enterprises a way to create internal SLAs using actual business requirements, such as defining mission-critical data transmissions or applications that should be prioritized. For example, an enterprise could prioritize voice traffic for MPLS connectivity to ensure a better quality of service for calls. When the enterprise utilizes the Internet through SD-WAN services, it may lose an element of traffic control, particularly when compared with a pathway like MPLS. Enterprises need to be aware of all types of connectivity and their performance levels to choose their primary pathway. Once you have identified your primary connectivity, you can set policies to prioritize traffic and applications. These policies perform functions like ensuring important data transmissions take precedence when bandwidth is running thin. One of the key benefits of internal SLAs for SD-WAN services is the granular level at which you can prioritize traffic. For instance, you may only want a subset of your users to receive prioritization for video conferencing during a period where packet loss or congestion threaten transmissions. SD-WAN also provides in-depth analysis and reporting to better understand how the network is being used and how it is performing. As enterprise IT more fully understands its WAN performance with SD-WAN management, meaningful data can be used to create more defined SLAs. SLAs aren’t going away any time soon, but to capture the potential of SD-WAN services, you mustn’t simply accept the version you receive from a provider. A better understanding of your network demands, use, and performance can help you create a useful internal SLA. To learn more about the critical elements of successful SD-WAN management, consult this helpful checklist from Wanify.